As President of the American Association for Cancer Research (AACR), Michael A. Caligiuri, MD, is a strong advocate for the federal funding that has powered significant advances in understanding and treating cancer. In recent weeks, as several members of Congress pushed back against funding cuts proposed by President Trump, Caligiuri, who is also the director of The Ohio State University Comprehensive Cancer Center and chief executive officer of the Arthur G. James Cancer Hospital and Richard J. Solove Research Institute, wrote an op-ed for The Cancer Letter. 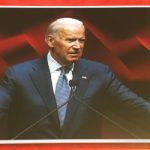 He thanked the Congressmen and Congresswomen for their support, and rallied AACR members and the entire medical research community to make their own strong cases for robust funding of medical research. Here’s the full text of Dr. Caligiuri’s article.